We are on Jamaa-el-Kebir Street, which links Petit Socco* to the port, facing the Grand Mosque. 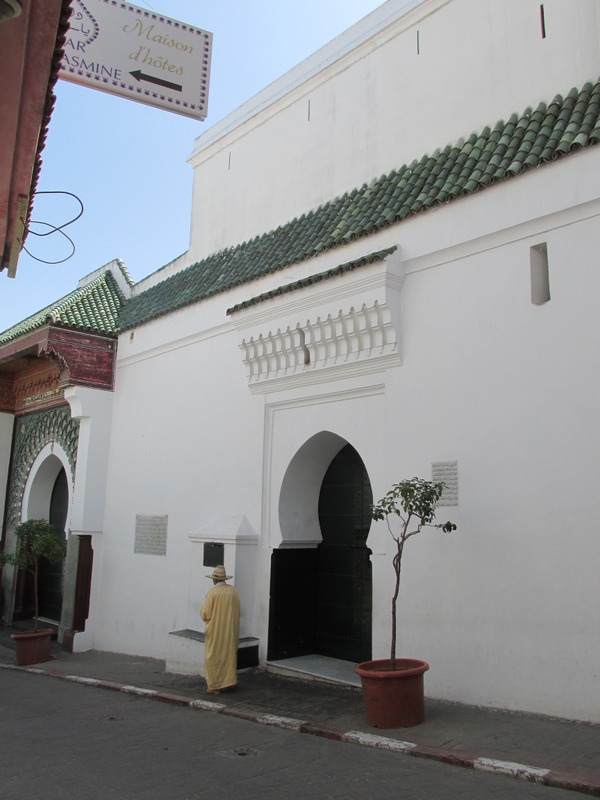 It is one of the most evocative historic buildings in Tangier. This location has been visited by followers from various religious backgrounds over the centuries. The original Mosque dates back to the 11th century. However, the site has changed vocations twice ever since and has undergone various transformations. *A socco is a public market. 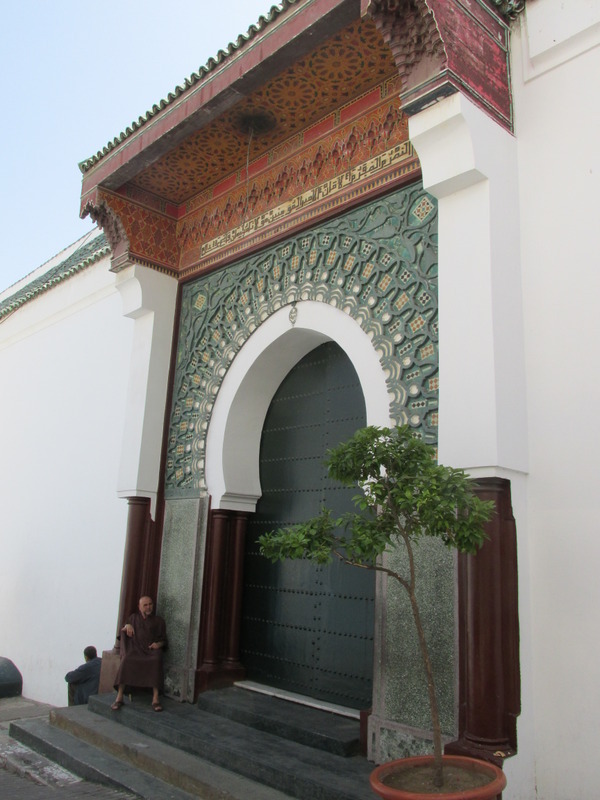 At one time, when Tangier was controlled by the Portuguese, the Mosque was converted into a cathedral. Then, in 1684, at the end of a war won against the British, the Moroccans transformed the site into a mosque, which will be significantly extended in 1815. 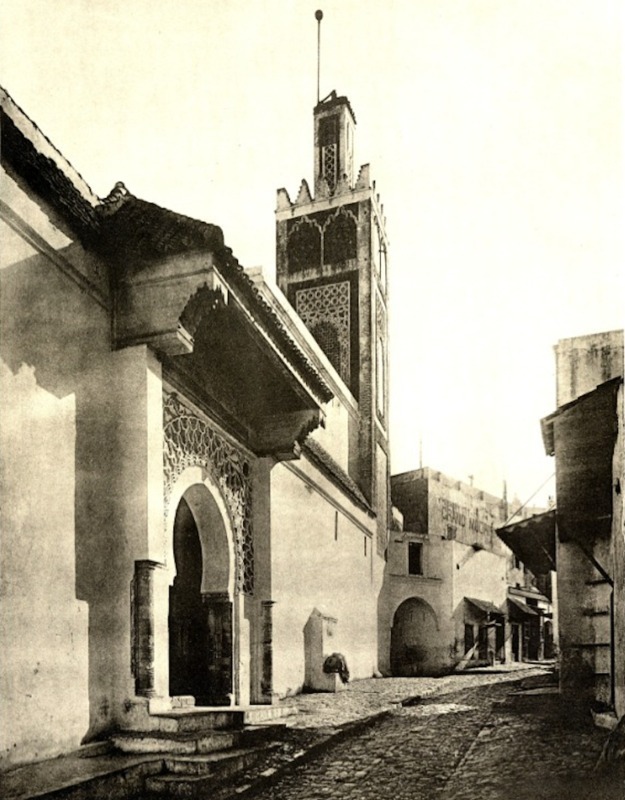 The last expansion of what is now called the ''Grand Mosque'' was carried out in 2001 with the private funds of the King of Morocco, Mohamed IV. This work was however initiated by his predecessor, King Hassan II. The main door of the structure will probably catch your attention due to its enormous size and its beautiful decoration, which stands out compared to the entire building's simplicity. 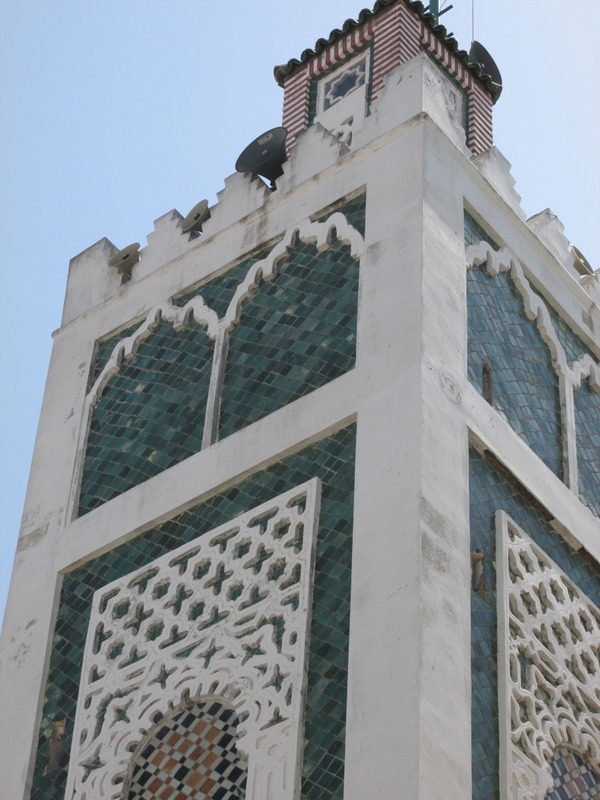 At the top of the structure, a square minaret graces the architectural ensemble. It mainly consists of earthenware and mosaics. Oral tradition in Tangier tells that even before Muslims built a first mosque, you could find at the very same spot a Roman temple dedicated to Hercules. As for most mosques, indoor access was forbidden to non-Muslims. 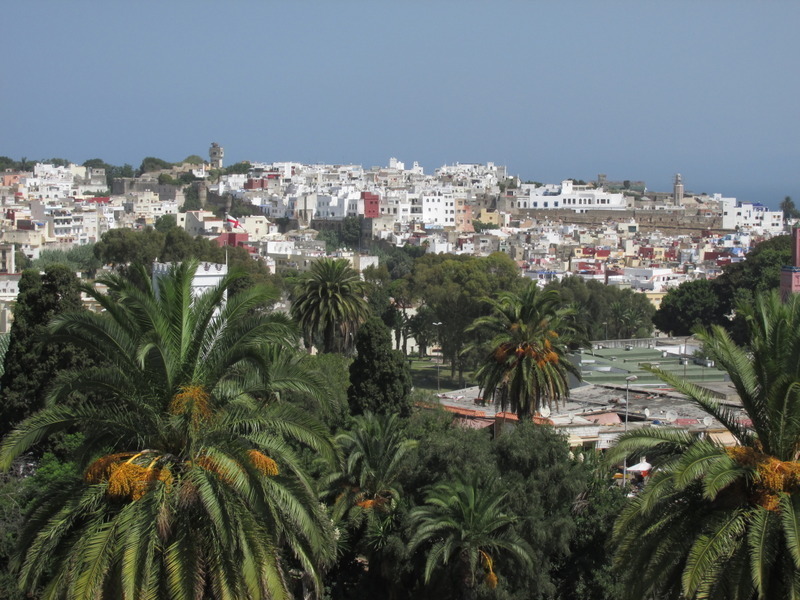 Tangier is the oldest city in Morocco. It was born in the Phoenician civilization's era. The arrival of the Phoenician merchants dates back to the VIII century B.C. Then, Tangier developed with the Carthaginians and the Romans who discovered there a strategic interest. Tangier passed into the hands of the Arabs, the Portugese, the Spaniards, and the British. It also had the official ''international city'' status between 1923 and 1956, which allowed the city to flourish and to compare favourably with the other Moroccan cities. Copyright © 2018 L'Aire de jeu inc. All rights reserved.